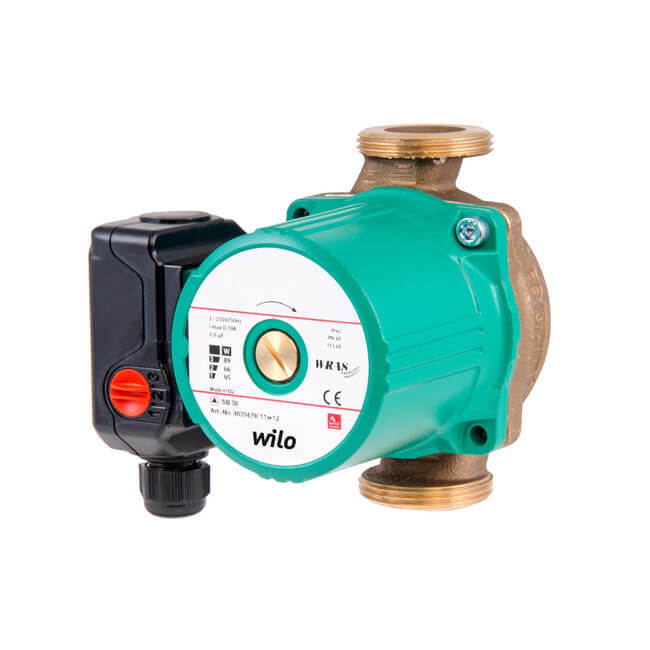 A bronze, glandless, in-line circulator for secondary hot water applications, and for chilled water down to -10°C. WRAS approved. 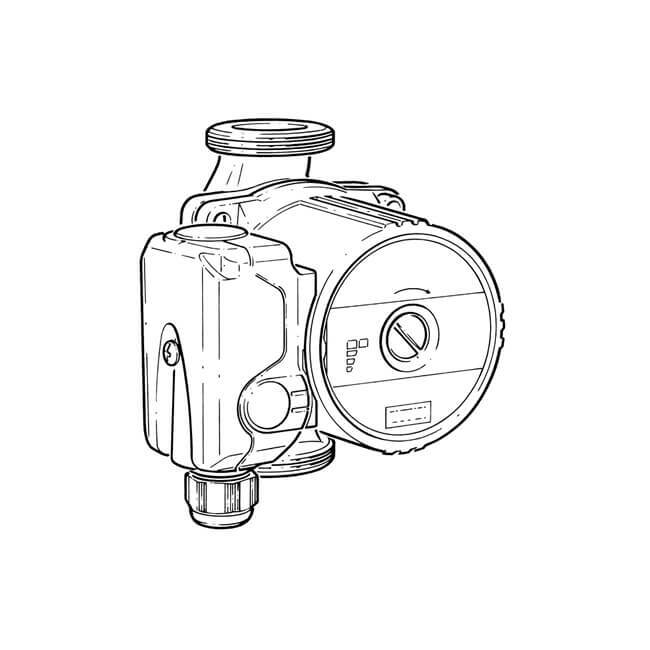 Single head pump. Manual 3-speed setting. Max. head : 5 m.
Flow rate : 4.3 m³/h. Max. working pressure : 10 bar. Temp. range : -10 to 65°C. Connections : 11⁄2" BSP M.
Port to port : 130 mm. Power supply : 230 V AC, 50 Hz. Speed setting : 1 = 45 W, 2 = 66 W, 3 = 89 W.